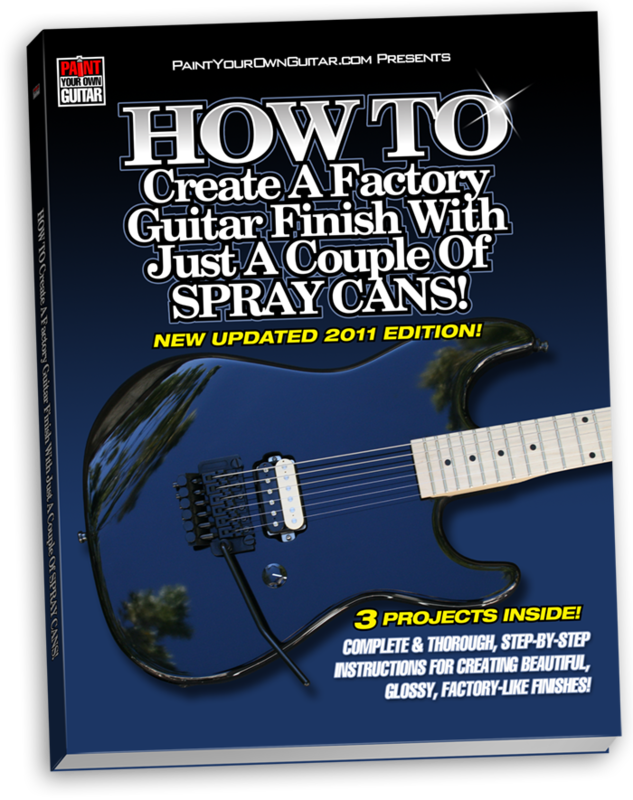 PAINT YOUR OWN GUITAR’s, ‘HOW TO Create A Factory Guitar Finish With Just A Couple Of Spray Cans!’ is THE book that started the CRAZE of guitarists everywhere painting their own guitar! Released in 2004, the book quickly became a BEST-SELLER, and in the process, helped cement PAINT YOUR OWN GUITAR as the D.I.Y. Experts in teaching people of every skill level how to properly and professionally paint their own guitar using nothing more than some ordinary store-bought spray cans. Since its original release, the book has been completely updated! The book features three new projects with lots of new information. 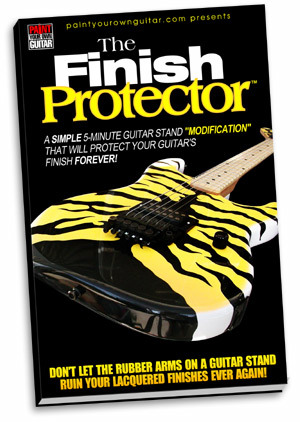 The Paint Your Own Guitar Step-By-Step System takes ALL of the mystery and guesswork out of achieving what you never thought was possible when refinishing a guitar. No stoned has been left unturned in painting your own guitar with the PAINT YOUR OWN GUITAR process. PAINT YOUR OWN GUITAR’s, ‘HOW TO Create A Factory Guitar Finish With Just A Couple Of Spray Cans’ was designed to teach you the PROPER way to paint a guitar, and to reduce, and even ELIMINATE, the learning curve. 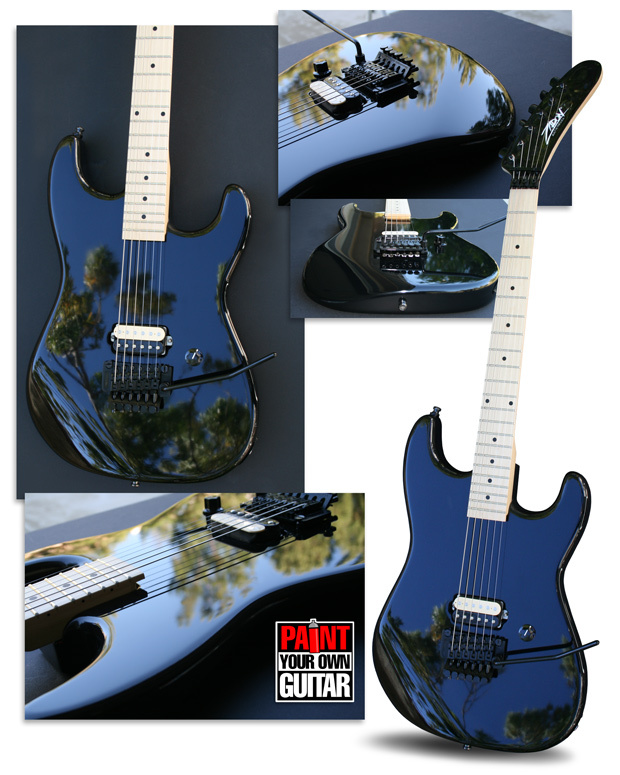 ‘HOW TO Create A Factory Guitar Finish‘ is an easy-to-follow, step-by-step method that educates you, and gives you the confidence and skill to be able to produce stunning factory-like guitar finishes – all without using ANY expensive equipment. You’re doing it with SPRAY CANS. 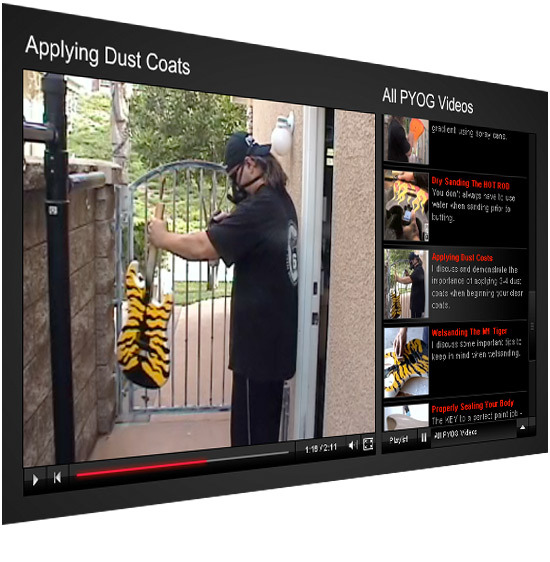 Over 200 photos and illustrations detailing the entire prepping and painting process. Over 160 POWER-PACKED pages of rock-solid content… and not a paragraph of filler or fluff. MAY’VE HEARD ABOUT PAINTING YOUR OWN GUITAR. IT’S NOT ROCKET SCIENCE! 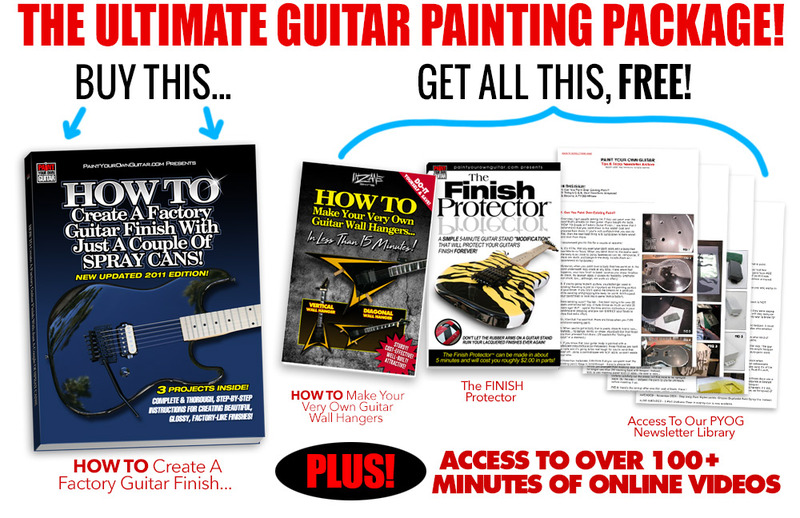 Make your first step into the world of painting guitars the RIGHT STEP by purchasing ‘HOW TO Create A Factory Guitar Finish’, and get these invaluable bonus items. 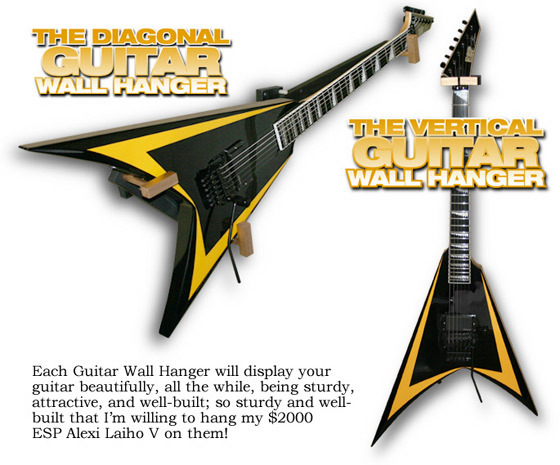 It is literally the BEST GUITAR-PAINTING investment you will ever make. P.S. 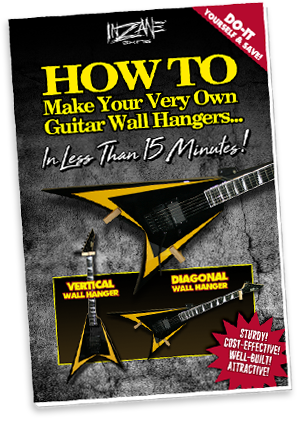 Remember you get access to over 100+ minutes of online video clips FREE when you order ‘HOW TO Create A Factory Guitar Finish With Just A Couple Of Spray Cans’ today.